After all the training, after setting up your recording environment, mastering your DAW, and all the classes, now it is time to actually build your business. This is a lot of work but will pay you benefits for years to come. You see, you don't need more information. You actually need transformation for your business. You need actual steps to take that can to get you to your goal. This is why you need to Sign up for the FREE WEBINAR. It will reveal exactly what you are missing. Some of the things you must now learn will stretch you and sometimes even frustrate you. Depending on how strong your skill set is with technology, you will have more of a learning curve to master business development. One of the most important things you must master is yourself. Being aware of your talents, what you are good at, and what you need help with. Building your voice over business will rely on you as well as the people that you associate with that can help you. Knowing yourself and mastering the negative talk in your own head will be an obstacle as well. Being able to continue on every day even when things are not looking the best is going to be key for you. Patience over the next few months and years will be critical to your success. This will not happen overnight. Voice over is a very competitive industry. From beginner level to expert, there are thousands of people getting into this industry every day. The good news about that is that thousands leave the industry every day as well. 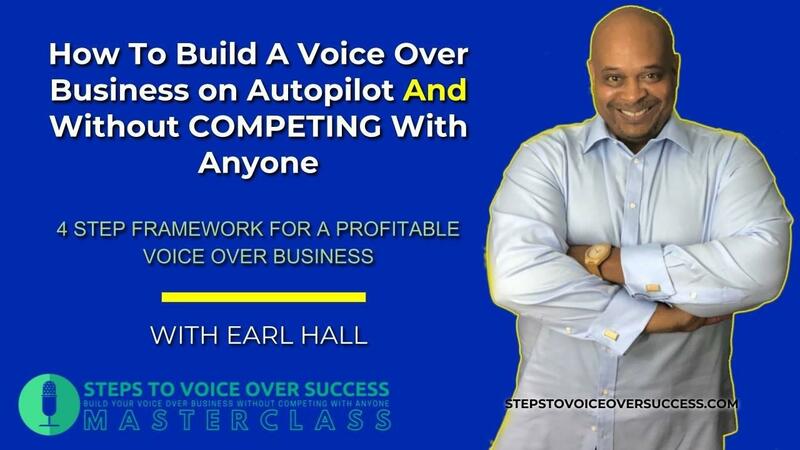 This is because most people have no plan on how to start, build, and grow a successful voice-over business. They have no idea what it really takes to build a business. Having a solid business development strategy is key. However, you must be flexible and willing to adapt to changing technologies and trends as they occur. You must know what will work for you to be successful. One size does not fit all in this. You are unique and you must be able to see what your capabilities and talent will allow you to do. For far too long we have listened to the 'so-called' voice over experts. Where has it gotten us? Are you still in the same spot you were in last year? If you are then we need to change that. Let's get down to it and do what it takes to build your business. You already know how to do voice over, so now you need to become firmly aware of how to do business development. You don't need more voice coaching or lessons in producing a simple audio file. You need to learn how to make money. You need a TRANSFORMATION not more information! Wouldn't you like to know..
Stay connected and learn more about voiceover than you ever imagined! Does It Really Matter If You Do Voice Over On Fiverr?